Do NOT complete this form if you are not home schooled. Ladies should be in a modest formal dress. No plunging necklines, backless or high cut gowns. Young men should be in formal attire. Dress slacks, shoes, shirt, coat and tie required. Pre-registered/pre-paid attendees will receive an email confirmation within 72 hours of receipt. You are welcome to print and bring your confirmation in the event it is needed at the time of admission. Please tell us which home school group you are a part of. 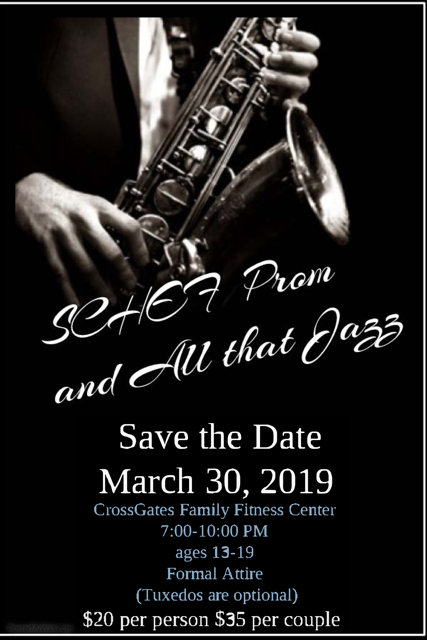 This agreement releases SCHEF and the PROM 2019 Team from all liability relating to injuries that may occur during the dance. By signing this agreement, I agree to hold SCHEF and the PROM 2019 Team entirely free from any liability, including financial responsibility for injuries incurred, regardless of whether injuries are caused by negligence. I understand that while my student is having a wonderful time at this event, there will be a photographer capturing these breathtaking moments on camera. I give SCHEF permission and authorization for these digital memories to be taken and understand that once all the images are ready they will be made available to me by SCHEF for viewing and downloading from the photographer digitally and electronically. By signing below I forfeit all right to bring a suit against SCHEF and the PROM 2019 Team for any reason. In return, I will receive entrance to the event and a night of dancing with some pretty amazing people. I will also obey any safety precautions as explained to me verbally. I will ask for clarification when needed. I further acknowledge that if I bring alcohol, vape cigs or supplies, tobacco, drugs or weapons, I will be escorted out & not receive a refund. In addition, I agree to the following: no inappropriate language, behavior, dancing or excessive PDA. if chaperones notice the above from me, I will be given one warning. If the behavior persists, I will be escorted out of the dance, and my parents will be notified, and I will not receive a refund. I, the undersigned, fully understand and agree to the above terms. AT THIS TIME, HOMESCHOOLED STUDENTS WILL BE ALLOWED TO INVITE ONLY 1(ONE) NON-HOMESCHOOLED GUEST PER STUDENT. All online sales will be directed through PayPal after the registration is complete. Online Payment Sales have ended. PAYMENTS ARE ACCEPTED AT THE DOOR. The first and last name of the home schooled student you are a guest of. I understand that while my student is having a wonderful time at this event, there will be a photographer capturing these breathtaking moments on camera. I give SCHEF permission and authorization for these memories to be taken and understand that once all the images are ready they will be made available to me by SCHEF for viewing and downloading from the photographer digitally and electronically. By signing below I forfeit all right to bring a suit against SCHEF and the Prom Team for any reason. In return, I will receive entrance to the event and a night of dancing with some pretty amazing people. I will also obey any safety precautions as explained to me verbally. I will ask for clarification when needed. I further acknowledge that if I bring alcohol, vape cigs or supplies, tobacco, drugs or weapons, I will be escorted out & not receive a refund. In addition, I agree to the following: no inappropriate language, behavior, dancing or excessive PDA. If chaperones notice the above from me, I will be given one warning. If the behavior persists, I will be escorted out of the dance, and my parents will be notified, and I will not receive a refund.